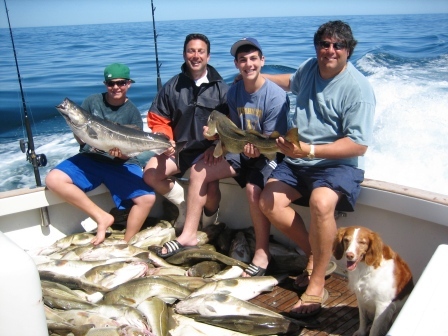 Dave, Dave, Robert & Benjamin made the annual Tuna Hunter trip in June this year. The delay was worth it – great fishing on all three days – Cod and Haddock one day, Striped Bass the next, and some Bluefin Tuna action the third. All hands landed whale-sized stripers. Great angling by great anglers. Come back any time! 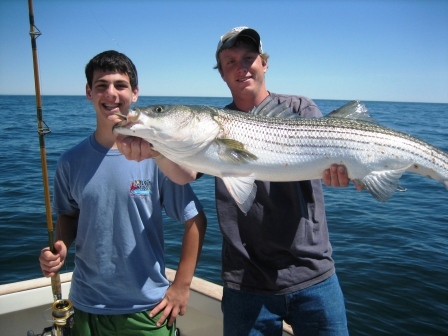 There was a literal boatload of fish – and that’s not counting the bass! 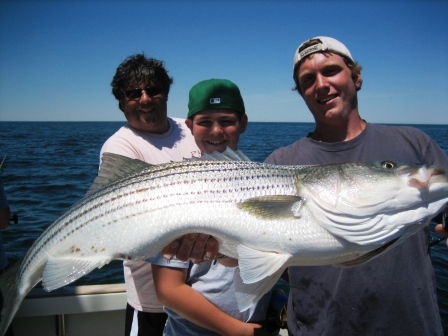 Call Captain Gary at 978-407-1351 for the latest openings … tuna are IN, large stripers are IN and cod & haddock remain strong – take advantage of great fishing now – that next hookup is yours!